Our 20’ dishwashing container provides a compact event solution with high throughput and capability. 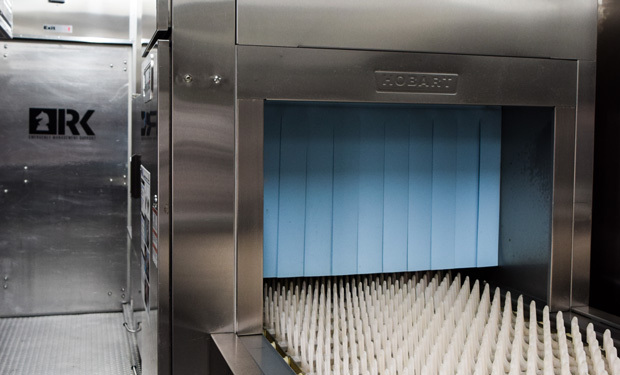 The EC-44 dish machine can clean 244 racks per hour, and its extended 18” wash section and separate wash and rinse areas provide consistent hygienic results. The container also features an efficient on-demand hot water heater, pre-wash and wash sinks, worktables, and more to support culinary operations. Want to rent our 20' Dishwashing Container?